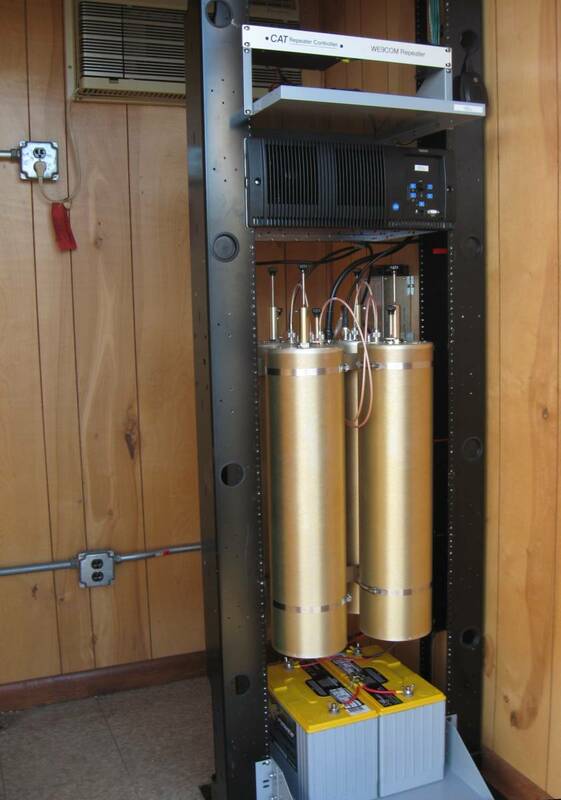 The WE9COM repeater in Baldwin is located at 199 feet on a monopole outside of Baldwin, Wisconsin. The Tait TB8100 emits 100 watts into TX/RX duplexers offering excellent coverage in West Central and Northwest Wisconsin. WeComm is fortunate to have secured this location. 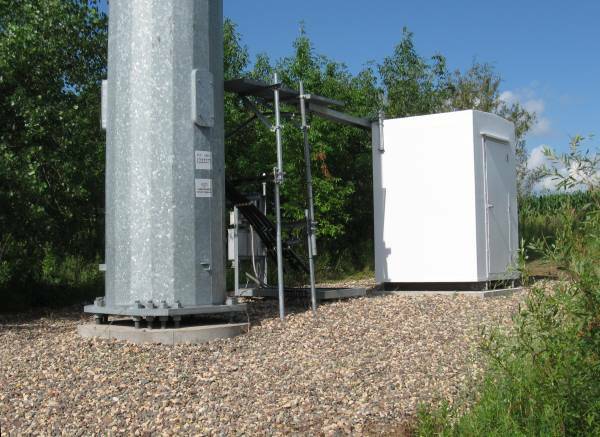 WeComm's Technical Director Bill Becks, WA8WG, and Board member Dave Kaun, N9KMY, worked together to optimize the coverage of this site, which will anchor WeComm's network in West Central Wisconsin. As you can see from the attached NEC coverage model, this site covers a great deal of ground for being 199 feet high.